BACKGROUND: Originally designed and hand-crafted as a working prototype for Maker's ReShape exhibition, The Bureau is a writing desk delivering an extendable or compact work environment. The active surface has been designed to create sufficient work space or privacy when needed; whether the tool is traditional pen and paper or laptop. Ergonomically configured at 1260(w) x 700(d) x 850(h) with the work surface at a height of 750mm. 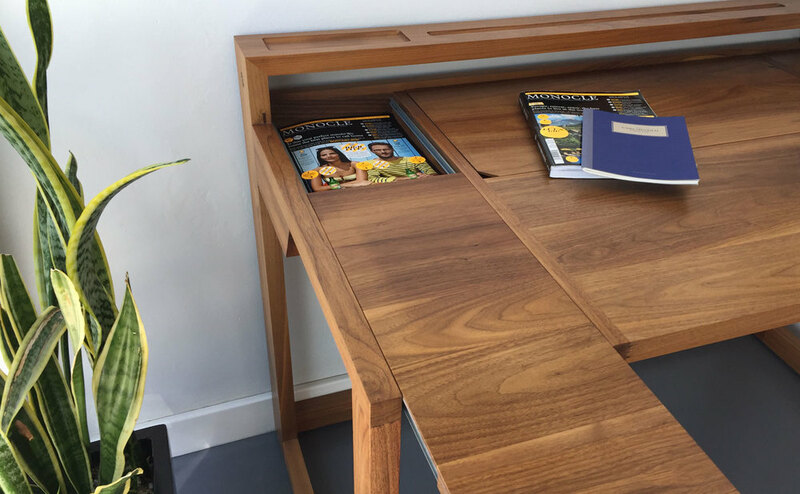 Entirely handcrafted from solid American walnut, the desk features three concealed compartments with mint detailing and a cable-friendly pigeonhole. 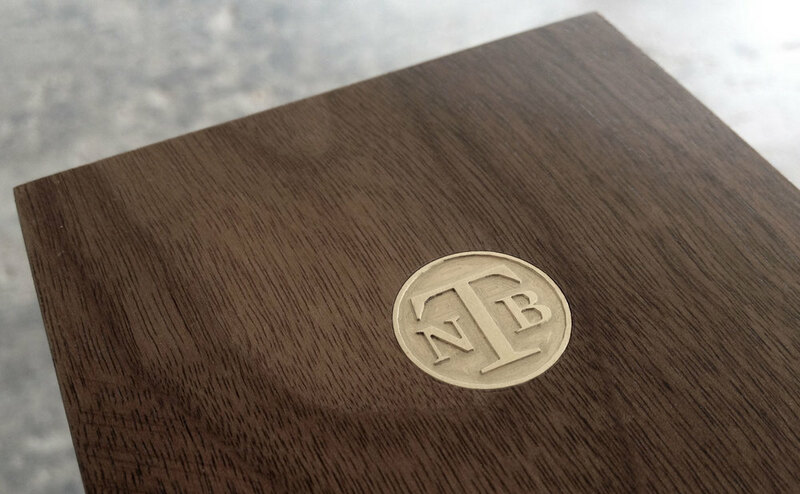 AVAILABILITY: Hand-made made to order. Price available on request.